Salary : 1,20,000 to 4,50,000 per annum. 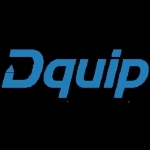 As an Enterprise Sales Associate / Executive / Manager you will introduce Dquip solutions, technology, and services to business customers. You will spend time on the phone and meeting first-time business customers and learning their needs. You will generate new leads, build relationships and discover customer needs through a sales dialog. For customers with more complex needs, you work with the Sales Team / Founder to craft the ideal solution. Finally, you inform and offer customers the complete suite of software product options. By engaging customers to think about the possibilities of Dquip technology in their businesses, you help build success - not only for your team but for our customers as well. - Would be responsible for selling our products. - Ability to interact & close prospective leads via phone, meetings, emails & chat. - Proactively discover and engage high-value potential leads with the objective of making them our customers (some cold calling required). - Ability to meet or exceed established sales target. - Keep abreast of what's happening in the CRM landscape, market conditions, competitive activities, advertising and promotional trends by actively reading through pertinent literature. Age : 28 or lesser. - You have an understanding of digital and social media marketing. - High level of drive, initiative, and self-motivation. - No dress code. T-shirts, shorts, jeans, flip-flops are just fine. - We go out for picnics, treks, adventure sports, leisure trips & play: cricket, football, chess, pool, kite flying and much more.